New York, NY– AOP (American Opera Projects) and The Phoenix Concerts will co-produce a concert featuring the work of composers and librettists from AOP’s C&V (Composers & the Voice) program, an annual fellowship that trains composers to write for the operatic voice. The concert will take place Friday, October 11 at 8PM at the Church of Saint Matthew and Saint Timothy: 26 West 84th Street, New York City. Tickets are $10 at the door or free with a student ID. A complete list of artists will be available through The Phoenix Concerts website www.thephoenixconcerts.org. Phoenix Concerts Artistic Director and C&V alumna (2005-06) Gilda Lyons will be one of the highlighted composers, along with Sidney Boquiren, Conrad Cummings, Daniel Felsenfeld, Vivian Fung, Kristin Kuster, Hannah Lash, Ray Lustig, Jack Perla, Rachel Peters, Daniel Sonenberg, and Stefan Weisman. “AOP25: Celebrating Composers & the Voice,” coincides with the seventh iteration of C&V and the twenty-fifth anniversary of AOP. Featured singers include soprano Adrienne Danrich (San Francisco Opera, Cincinnati Opera), contralto Nicole Mitchell (New York Philharmonic, Sarasota Opera), and lyric baritone Kyle Guglielmo (Piedmont Opera, Westfield Symphony), with Mila Henry on piano. The primary focus of Composers & the Voice is to give emerging composers and librettists experience working collaboratively with singers on writing for the voice and contemporary opera stage. Previous fellows in the Composers & the Voice program have gone on to receive numerous awards, commissions, and premieres, including Jack Perla (Love/Hate, San Francisco Opera, 2012), Gregory Spears (Paul’s Case, UrbanArias, 2013, and Pittsburgh Opera, 2014), Stefan Weisman (Darkling, AOP commission, NYC, 2006), Hannah Lash (Aspen Music Festival), Daniel Felsenfeld (Nora, In the Great Outdoors, AOP commission, NYC, 2011), Daniel Sonenberg (The Summer King, Fort Worth Opera Frontiers, 2013), and Vivian Fung (2013 Juno Award “Classical Composition of the Year”). A complete list of alumni can be found at AOP’s website, www.operaprojects.org/composers_voice.htm. 2013 marks the 25th anniversary of Brooklyn’s AOP, a progenitor of new opera and music theatre. In addition to The Phoenix Concerts, the anniversary season will include partnerships with Irondale Ensemble Project, UrbanArias, Opera on Tap, the Manhattan School of Music and more to present both new works and music from its catalogue of the past quarter century. The season began with AOP’s sold-out world premiere run of Lera Auerbach’s The Blind at Lincoln Center Festival and will conclude with another world premiere in April 2014 at Roulette, The Wanton Sublime (music by Tarik O’Regan, libretto by Anna Rabinowitz), in partnership with Ear Heart Music. Sidney Marquez Boquiren (C&V 2011-12) grew up in the Philippines and Saudi Arabia but has spent most of his life in the United States. 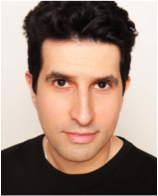 As a Composer Fellow for American Opera Project’s Composers and the Voice Series (2011 – 2012) and in collaboration with librettist Daniel Neer, he has written representative arias for several different opera treatments as well as a full scene which was premiered in September 2012 with subsequent performances at the BEAT Festival in Brooklyn, NY. Recent commissions include a signature piece for the singers of RWO (July 2013), a duo for violinists Sarah Plum and Hal Grossman (October 2013), and a quintet for AnyWhen Ensemble (November 2013). 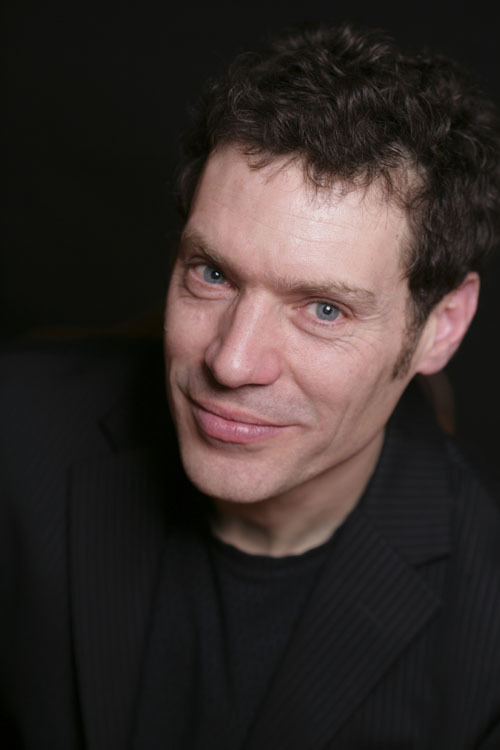 Sidney is an Associate Professor and the Chair of the Department of Music at Adelphi University in Garden City, New York, where he teaches music theory and composition. Composer Daniel Felsenfeld (C&V 2006-07) has been commissioned and performed by Simone Dinnerstein, Two Sense, Metropolis Ensemble, American Opera Projects, Opera on Tap, Great Noise Ensemble, Da Capo Chamber Players, ACME, ETHEL, REDSHIFT, Two Sides Sounding, Momenta Quartet, Friction Quartet, Blair McMillen, Stephanie Mortimore, Jennifer Choi, Caroline Widmann, Cornelius Duffallo, Jody Redhage, Nadia Sirota, Caroline Worra, Elanor Taylor, Kathleen Supové, Jenny Lin, Ensemble 212, New Gallery Concert Series and Transit, at Carnegie Hall, Lincoln Center, BAM, Kennedy Center, ATLAS, Le Poisson Rouge, City Winery, Galapagos Art Space, The Stone, The Kitchen, BAM, Jordan Hall, Duke University, The Southern Theatre, Stanford University and Harvard University, as part of 21c Liederabend, Opera Grows in Brooklyn, Ecstatic Music Festival, MATA, Keys to the Future, and Make Music New York. He has also worked with Jay-Z, The Roots, Keren Ann, Rick Moody, Stew, Mark Z. Danielewski, and is the court composer for John Wesley Harding’s Cabinet of Wonders. Commercially available on the Sony, Def Jam, Black Box, and Naxos labels. Raised in the outlying suburbs of Los Angeles, he lives in Brooklyn. 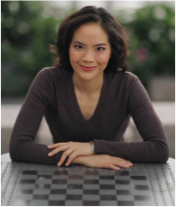 She, After, a pairing of two of Daniel’s AOP-developed monodramas – Alice in the Time of the Jabberwock and Nora, In the Great Outdoors, will be premiered by UrbanArias (Arlington, VA) this fall. Raymond J. Lustig and librettist partner Matt Gray are currently developing Semmelweis, based on the true story of the tragic life of a troubled medical visionary, with American Opera Projects. Lustig’s music has been hailed as “entrancing…surreally beautiful…ecstatic… [and] rapturous” by the New York Times. 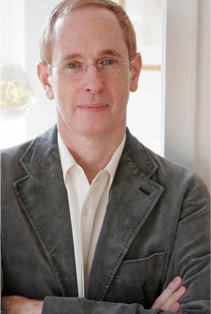 He has received commissions from American Composers Orchestra, The Academy (A Program of Carnegie Hall, The Juilliard School, and The Weill Music Institute), the Chamber Music Festival of Lexington, Metropolis Ensemble, the New York City Ballet’s Choreographic Institute, and the American Music Center’s Live Music for Dance Project. 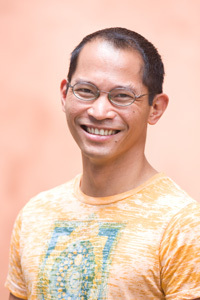 He has also had performances by the Juilliard Symphony, the Bowling Green Philharmonia, tenor Nicholas Phan, TENET vocal ensemble, the New Juilliard Ensemble, Duo Noire, and Blind Ear, and his music has been recorded on Albany Records and Avian Music. Also a published researcher in molecular biology, Lustig is deeply inspired by science, nature, and the mind. Daniel Sonenberg (C&V 2002-03) participated in the first iteration of Composers and the Voice in 2003, and went on to form the composers collective South Oxford Six with the other composers in that group. 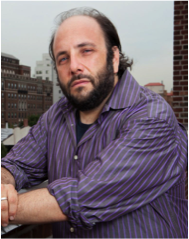 His opera, The Summer King, has been developed with AOP in workshop performances in Brooklyn, at the Manhattan School of Music, and at the University of Southern Maine (USM), where Dan is currently Associate Professor and Resident Composer. The opera will receive its world premiere in concert form in Portland, Maine in May 2014, in a production sponsored by Portland Ovations, USM and American Opera Projects. Other recent compositions include Delve (2013), premiered by the Da Capo Chamber Players, Takes One to Know One (2012), for percussion, bass clarinet, cello and double bass, Grab That! (2012) for oboe, violin, cello and piano, and Seven Jarring Dances for Clarinets and Steel-String Guitar (2011). Read more at his website, www.danielsonenberg.org. The voice of EMMY award winning soprano Adrienne Danrich has been described as “fresh liquid-silver”, “radiant”, and “meltingly tender in its high, floating vulnerability” by Opera News. She has had several songs written for her by various AOP composers. She has performed leading roles with San Francisco, Pacific, Cincinnati, Sarasota, Dayton, Kentucky, Skylight, San Antonio and Fort Worth opera companies. She performed with Kenya Opera throughout Nairobi and Mombasa. Ms. Danrich made her solo debut at Carnegie Hall with the New England Symphonic Ensemble and her Alice Tully Hall debut with The Little Orchestra of New York. Ms. Danrich recently debuted two operatic title roles- Aida with Annapolis and Tulsa operas and Madama Butterfly with the Imperial Symphony Orchestra. 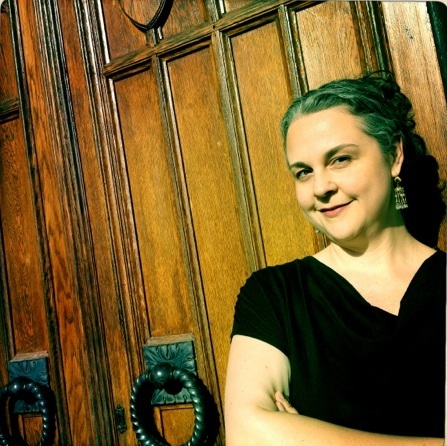 On the concert stage, Ms. Danrich has performed with the San Francisco, Philadelphia, St. Luke’s, Cape Cod, Lexington, Bryan, Dayton, Northern Kentucky, Fort Wayne, Louisville, Cincinnati, Laredo, Hartt, Hamilton Farfield and St. George’s Choral Society orchestras. 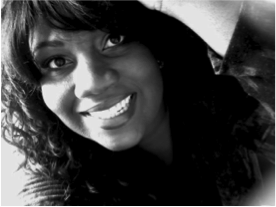 Ms. Danrich performs her self-described ‘live documentary’ and one-woman show, This Little Light of Mine: The Stories of Marian Anderson and Leontyne Price, which she wrote under a commission from Cincinnati Opera. Ms. Danrich recently won an EMMY for her performance in This Little Light of Mine, which was filmed by Milwaukee Public Television (MPTV). Cincinnati Public Television (WCET) filmed a different and original version of This Little Light of Mine, which aired in 2012. In February 2011, Ms. Danrich performed the premiere of her new live documentary, An Evening in the Harlem Renaissance, which she wrote under a commission from the Lively Arts Concert Series at Indiana University Pennsylvania and has since performed the show with Cincinnati Opera, Taft Museum, and The University of Wisconsin-Milwaukee. Nicole Mitchell (contralto) is a proud native of Brooklyn, New York. She has performed regularly with American Opera Projects and The Walt Whitman Project extensively promoting the works of New York composers. Most notably was the song cycle Songs from the F Train composed by Gilda Lyons and joint-commissioned by American Opera Projects and The Walt Whitman Project. These songs were performed at Carnegie Hall’s Zankel Hall. This past summer Nicole performed in the New York premiere of Lera Auerbach’s opera The Blind in an AOP & Lincoln Center Summer Festival production. 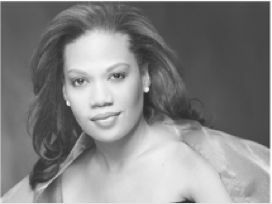 Ms. Mitchell has performed at Avery Fisher Hall and with New York City Opera and Sarasota Opera where she sang the role of Tituba in Robert Ward’s Pulitzer Prize-Winning opera The Crucible, later reprising the role with Piedmont Opera (2012) at the request of the composer. As a Tanglewood Vocal Fellow (2008) she sang for Maestro James Levine and performed as one of the Six Ladies while covering the role of Leocadja Begbick in Kurt Weill’s The Rise and Fall of the City of Mahagonny. In February 2013, Nicole gave a recital at Brooklyn Navy Yard Center’s BLDG 92 Museum. She was officially the second operatic voice heard at the Navy Yard since Eugenia Farrar’s 1907 radio broadcast. Next year Nicole will appear in David Lang’s work The Difficulty of Crossing a Field (Beth Morrison Projects 2014). In addition to contemporary compositions, Ms. Mitchell’s concert work as alto soloist includes Verdi’s Requiem, Brahms’ Alto Rhapsody, Beethoven’s Ninth Symphony & Choral Fantasy, Handel’s Messiah, Rossini’s Stabat Mater and Mozart’s Requiem to be performed later this month with at The Colour of Music Festival in Charleston, SC. Lyric baritone Kyle Guglielmo‘s most recent performances include Le Dancaïre in the Westfield Symphony’s concert version of Carmen and Dr. Pill in Sarasota Opera’s world premiere production of Little Nemo in Slumberland. Engagements during the 2011-2012 season included Marco (Gianni Schicchi) with The Princeton Festival and an apprenticeship with Sarasota Opera, where he covered Le Dancaïre and performed Lillas Pastia (Carmen). In the spring of 2011 Kyle starred as Curly in the UNC School of the Arts presentation of Oklahoma! which was filmed in HD and broadcast on North Carolina Public Television. In 2008 Kyle performed Giuseppe Naccarelli in the opera house premiere of Adam Guettel’s The Light in the Piazza with Piedmont Opera. Roles performed while at UNCSA include Belcore (L’elisir d’amore), Sid (Albert Herring), Harry Easter (Street Scene), Giorgio Talbot (Maria Stuarda), and Ernesto (Il mondo della luna). 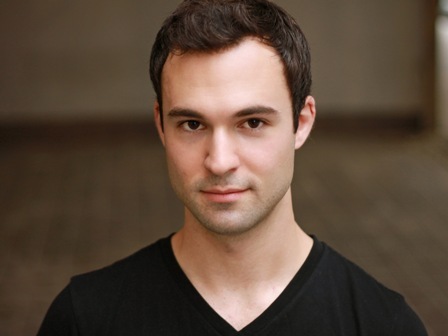 Kyle is currently an acting student at the William Esper Studio in Manhattan. Since 2005, THE PHOENIX CONCERTS, New York’s “plucky Upper West Side new-music series” (The New Yorker), has commissioned, premiered, and presented over one hundred contemporary composers’ works on nearly fifty concerts in Manhattan, Beijing, Saratoga Springs, and Seattle. Thousands of additional listeners have been reached through streaming videos, visuals, and program notes on its comprehensive website (www.thephoenixconcerts.org) as well as rebroadcasts on WUOL 90.5 FM, Louisville, Kentucky’s Fine Arts Station. THE PHOENIX CONCERTS’ unwavering commitment to presenting the broadest possible spectrum of new music draws enthusiastically supportive audiences comprised largely of first-time concertgoers. Catered post-concert receptions offer an informal setting where audiences interact with performers and composers. Building from a core season of four concerts presented at Manhattan’s Church of St. Matthew & St. Timothy, the calendar includes collaborative events hosted in partnership with: Beijing New Music Ensemble; Chamber Music America; Hudson Opera House; Lotte Lehmann Foundation; Beth Morrison Projects; Salon Harlem; Seasons Music Festival; “Composers Now” Festival at Symphony Space; Virginia Center for the Creative Arts; and the Corporation of Yaddo. At the forefront of the contemporary opera movement for a quarter century, AOP (American Opera Projects) creates, develops and presents opera and music theatre projects collaborating with young, rising and established artists in the field. AOP has produced over 20 world premieres including most recently Lera Auerbach’s The Blind, a co-production with Lincoln Center Festival 2013. Other notable premieres include Kimper/Persons’ Patience & Sarah (1998), Stefan Weisman’s Darkling (2006), Lee Hoiby’s This is the Rill Speaking (2008), and Phil Kline’s Out Cold (2012) at BAM. AOP-developed projects premieres with collaborating companies: Gregory Spears’s Paul’s Case at UrbanArias 2013, Kamran Ince’s Judgment of Midas at Milwaukee Opera Theatre 2013, Jack Perla’s Love/Hate at ODC Theater with San Francisco Opera, 2012, Stephen Schwartz’s Séance on a Wet Afternoon at New York City Opera, 2011, Tarik O’Regan’s Heart of Darkness at London’s Royal Opera House 2011, Jorge Martín’s Before Night Falls at Fort Worth Opera, 2010, Hoiby’s This Is the Rill Speaking at Opera Memphis 2013. The New York Opera Alliance, a consortium of New York opera companies and producers, is hosting its premiere event at Le Poisson Rouge on Sunday, November 3rd at 3pm (doors open at 2pm). For the first time ever, AOP and the other participating organizations of NYOA are coming together for an afternoon of opera arias and excerpts. With an eclectic program ranging from classical to 21st century works, audience members will be treated to a vast array of operatic styles within one evening’s programming. Come celebrate the diversity of opera in NYC on the final day of National Opera Week. An opera lover’s dream! For tickets and more information, click here. You are currently browsing the Have a Voice blog archives for September, 2013.